I'm all about the slow cooker these days. Although it's obviously a good route for making dinner during a busy week, or when it's 105 outside and you don't want to turn on the oven, I was happy to learn that I could make various desserts in the slow cooker as well. 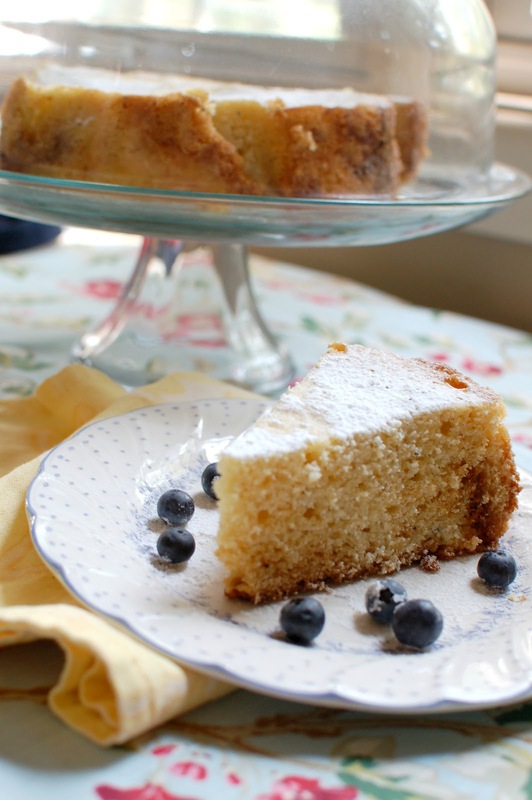 This recipe is great for dessert with some powdered sugar on there, fresh whipped cream if you want to be fancy, or in the morning with a cup of coffee. It's great being an adult and having cake for breakfast. 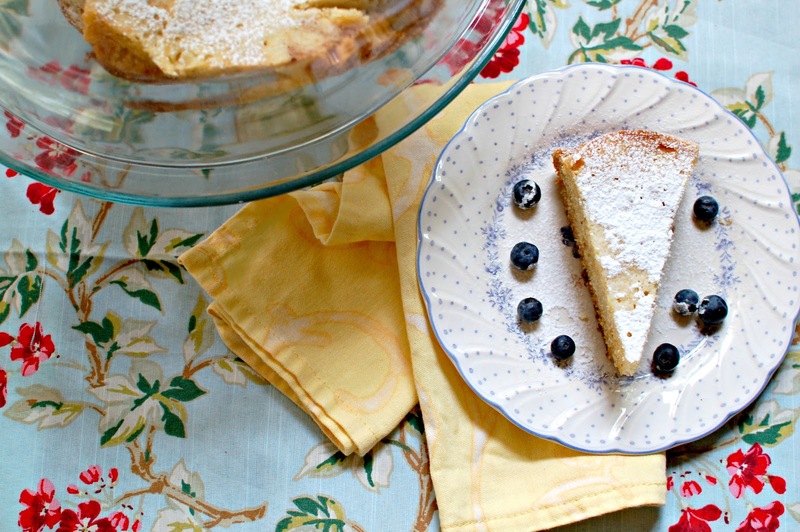 Thanks to the cornmeal in this cake it almost tastes like a lemony cornbread. It keeps well and tastes even better several days in. 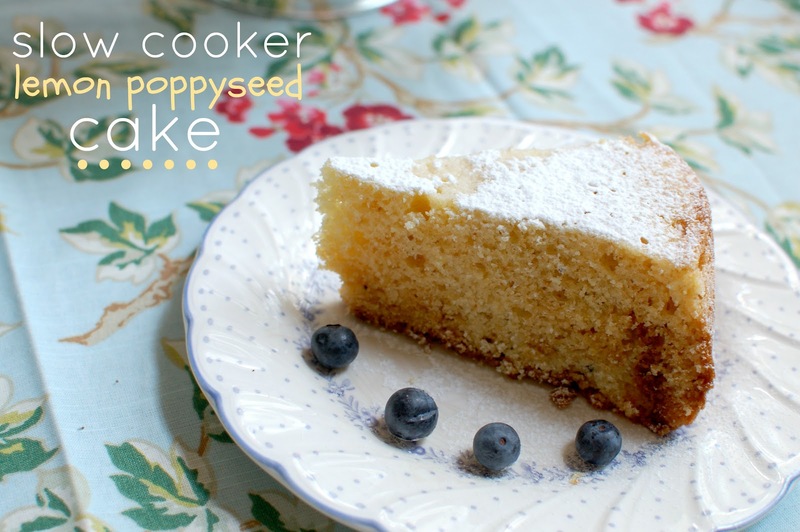 I think I'll be making this recipe again for times when we need a versatile cake on hand which unfortunately for us can be justified to be just about any day. 2. In a mixer beat the butter and 1 1/4 cups granulated sugar until smooth. Add the eggs and beat for about 2 minutes. Now add in the sour cream, vanilla, lemon zest, and poppy seeds. Beat until combined then turn on low and blend in the flour until just combined. 3. 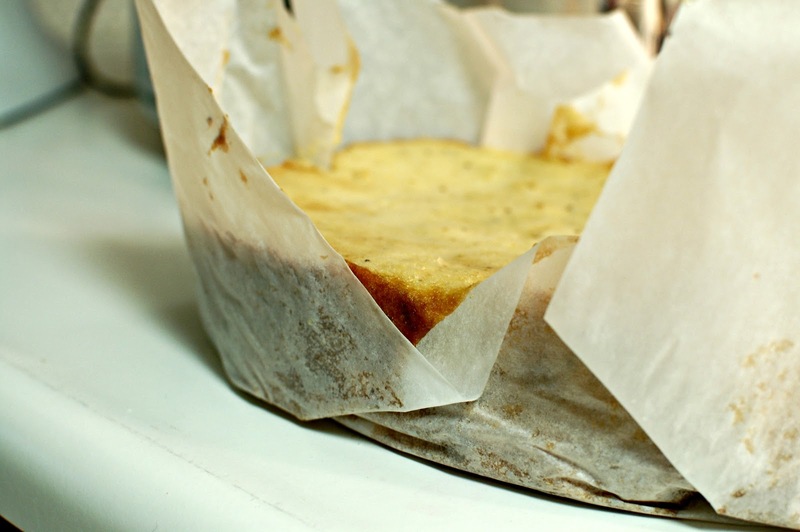 In your slow cooker place a piece of parchment paper in the bottom with the excess coming up the sides. Pour the batter into the bottom of the slow cooker and spread so that it's even. 4. Cover and bake on high for 2 1/2 hours or until a toothpick in the center comes out clean. Check the cake after 2 hours to see how it's doing. 5. When it's done let it cool for 10-15 minutes in the slow cooker then lift it up and dust it with confectioner's sugar and serve with berries if you'd like. ooooh, I love SLOW COOKER anything! I just got a crock pot a few weeks ago and am loving it-- keep these kinds of recipes coming! THIS is one AWESOME recipe!! Thank You!